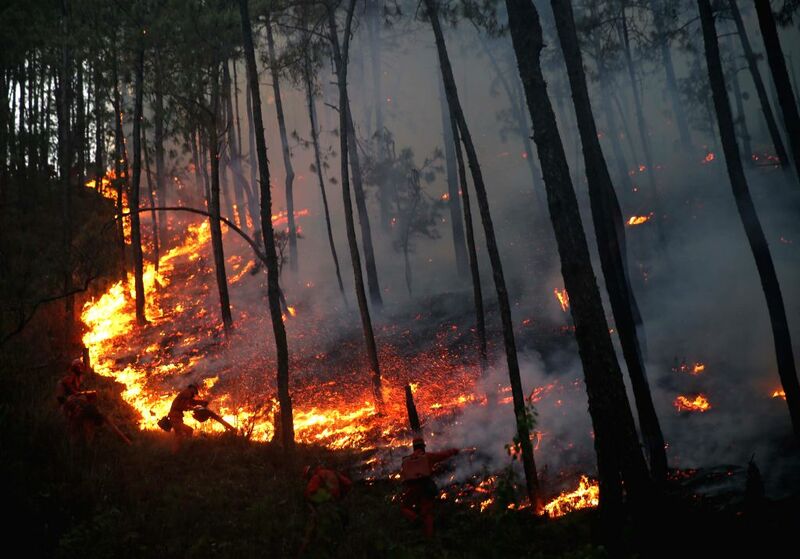 LIANGSHAN, April 11, 2014 - Fire fighters try to extinguish a fire raging through the forest at Changbanqiao Village of Anha Township in Xichang, southeast China's Sichuan Province, April 11, 2014. A forest fire broke out here on Friday, covering an area of some 3 hectares. About 700 people has been sent to put out the blaze.